Created on the back of years of vintage mouthpiece research this Aizen Jazz Master Tenor mouthpiece offers extreme control from ppp to fff and everything in between! Produced with a special vintage alloy the Aizen Metal Jazz Master has a deep, large chamber and produces the dark husky sound you desire but with the ability to put the pedal down and really go for it when you need to. Using precise milling technology the Jazz Master has unprecedented tonal flexibility and range. 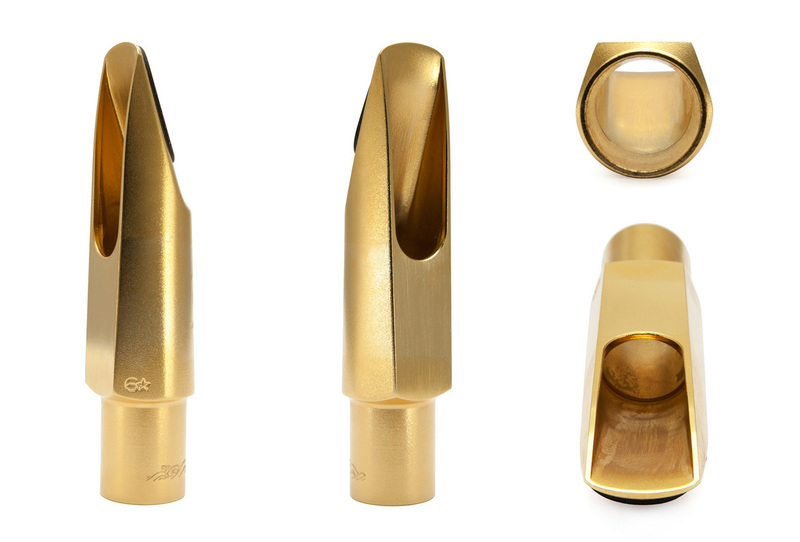 A serious price but for a seriously well made and consistent mouthpiece. This mouthpiece has a very dark tone which gives a classic vintage sound, ideal for the jazz player, suitable for a soloist or small group. However, because of the straight through chamber with no baffle it probably wouldn't stand out in big band work or a more commercial environment. If you want dark and lush and smoky this is the one for you.